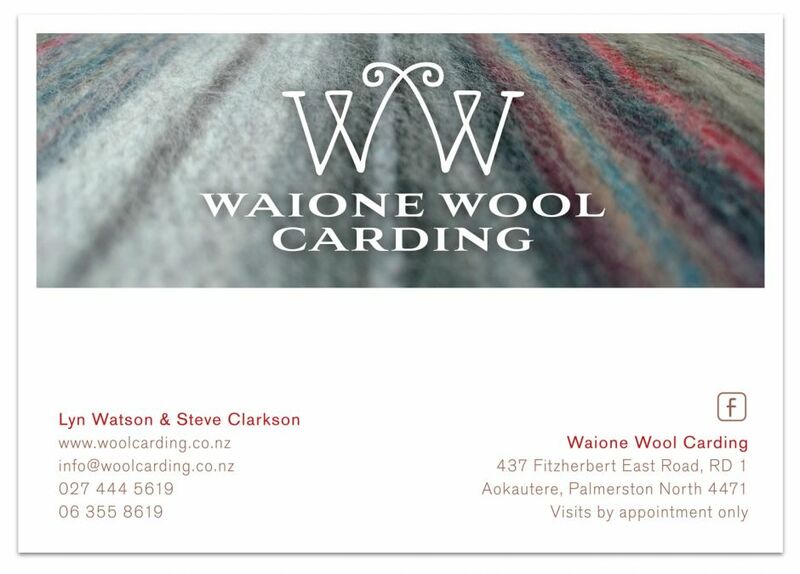 A couple of years ago we completely revamped the Waione Wool Saddleblankets website to give it modern, secure e-commerce facilities and a fresh new design look that reflecting the gorgeous hand-made products they create. 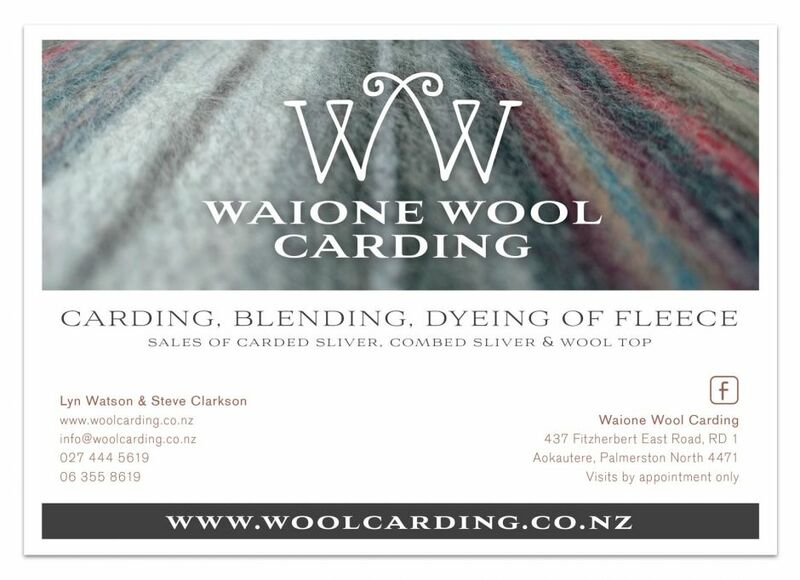 That site’s been a great success and the saddleblankets have been selling continuously, so owners Lyn Watson and Steve Clarkson decided to spread their wings even further and move into wool carding. 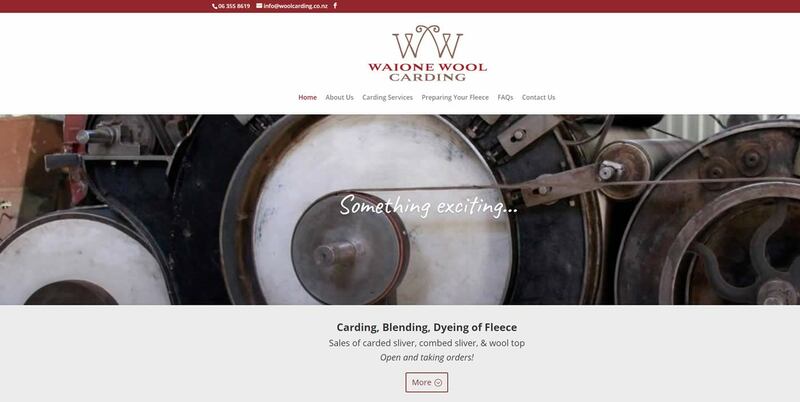 Carding is a mechanical process that disentangles, cleans and intermixes fleece fibres to produce a continuous web or sliver, ready for dyeing or other processing. Operations won’t begin until early 2018, but Lyn and Steve were keen to let people know about their new venture now. 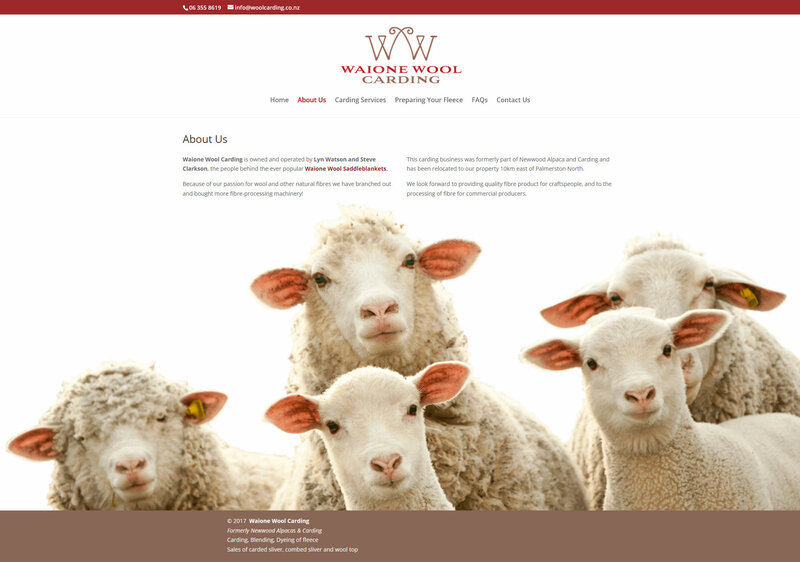 Nectarine jumped in to build a new website and Bek created a logo, business cards, flyers and stickers. 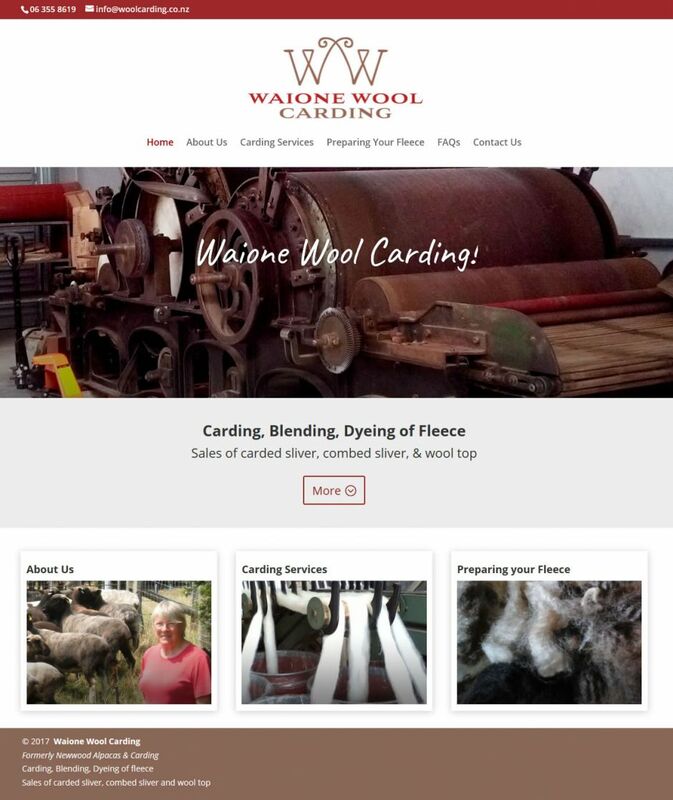 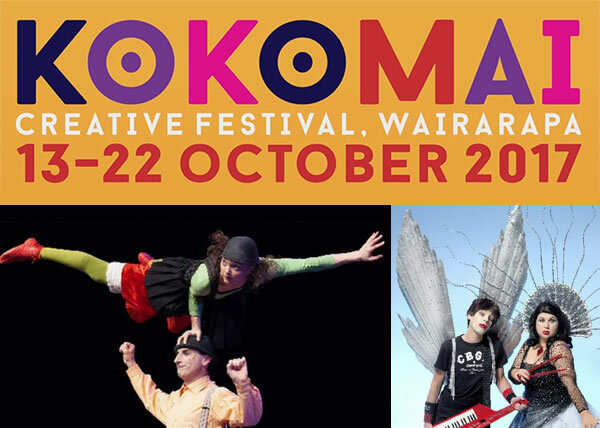 You can see the site at woolcarding.co.nz.